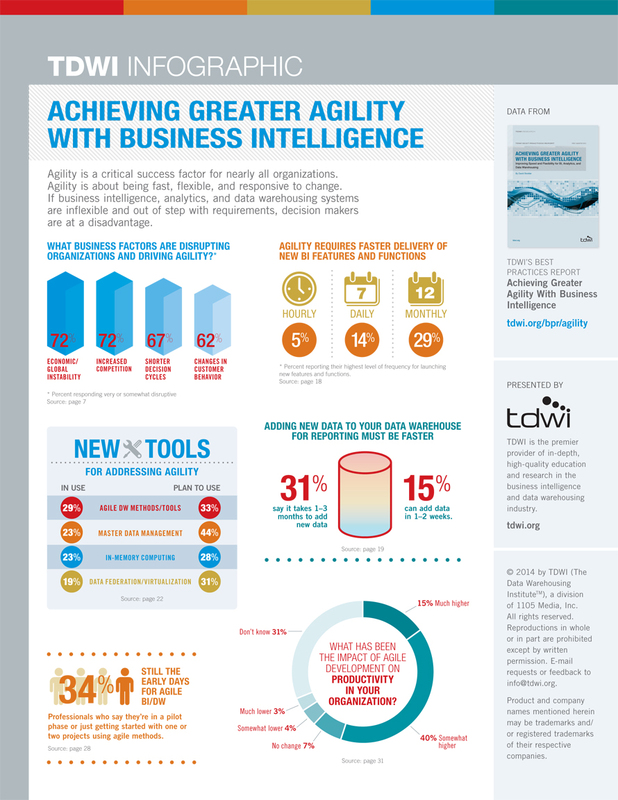 Agility is a critical success factor for nearly all organizations. It's all about being fast, flexible, and responsive to change. If BI, analytics, and DW systems are inflexible, decision makers are at a disadvantage. Find out new tools for addressing agility, the impact of agile approaches on productivity, and more.